Being the Chief Marketer at any company who is tasked with the huge responsibility of getting the message of a company’s product or service out into society, and more importantly, in front of the right people who might need it, can be quite a daunting task. Because at the end of the day, besides the sales function of a company, the marketing function, or a lack of it, can very easily cripple and spell the end of a business. This is no exception to law firms. 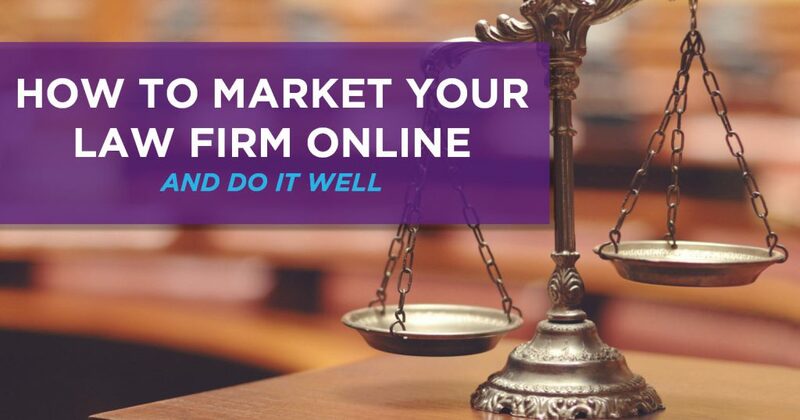 So, the question then remains, how do you as the chief marketer of your law firm begin to set the foundation for the effective marketing of the law firm that you represent? In this age of technology, where just about everything in our lives has a digital component to it, including our relationships, it is highly beneficial for the effective marketing of a law firm to build and maintain real relationships, not just digital ones. So, at the end of the day, even though law firms can and should use whatever tech tools at their disposal to improve the bottom line, the basis of business development in any business is still relationship driven. The most important relationship, of course, is the one between lawyer and client. But other relationships matter too. Chief marketers also need to have strong relationships with the lawyers at their firms. Among other reasons, in order to do an effective job, they need to be able to understand in letter and spirit, the mission and vision of the company, in order to be able to effectively market that vision and mission. In like manner, there needs to be real relationships between all members of the marketing team. Environments where real synergy and relationships exist are more likely to flourish and succeed at their job. Clients are increasingly seeking lawyers who don’t just have legal knowledge, but are also relatively knowledgeable in the specific applicable knowledge area. The same thinking can be applied to the marketing function. So while the assumption will be made that a marketer will be fairly knowledgeable about the law firm he or she is marketing, and their business model, the same knowledge of the law firms’ ‘ideal’ client, and even at a deeper level, will equally be very beneficial in the effective marketing of the law firm. A possible way in which a chief marketer and his marketing team can get to know who their ‘ideal’ customer is, and consequently be able to properly market their legal services to them, is to construct a persona, or several personas of who this customer is, including all the important things or features about them, which will then allow the marketing team tailor specific aspects of their marketing plan to speak to and address the needs of this persona. All of which is likely to lead to a much more effective and successful marketing program. At a corporate level, where the target client is an organization as opposed to an individual, an effective marketing function might include an in-depth business development function. This will include getting to know everything about the industry of your main clients’ and presenting yourself as an expert in that industry. Even though the days are over where TV, radio, billboard, direct mail marketing, and other similar outreach methods were pretty much the only means of reaching one’s customers, that is not to say that those methods are still not effective and should not be utilized where they can. They absolutely should, whenever a law firm is able to afford them, and where they are found to be effective. The good thing however, is that in addition to the aforementioned marketing channels, there has been the advent of an even more powerful medium, called the internet, that has given rise to digital marketing and advertising opportunities for lawyers. Having said that, a highly effective and robust marketing function is one that has a diversified marketing mix. Embrace the opportunity and power of social media. Business development normally involves a one-on-one relationship (e.g a lawyer pitching to a prospective client), while marketing typically involves a one-to-many relationship (e.g using media coverage to establish one’s expertise in a field). Social media offers a law firm the opportunity to do both marketing and business development at the same time, provided that the lawyer, or the marketing team, seizes the opportunity and does it well. By being consistent with providing useful and informative content, being active on their chosen social media outlets, being active and engaging in relevant forums, answering reader questions and comments, a lawyer can establish him or herself as an expert in a particular area of law. An opportunity which then provides an an opportunity for marketing and brand building. As has been previously mentioned, traditional forms of media like TV and radio still hold their place of importance in the bid to effectively market a law firm. Previously the words ‘no comment’ sufficed for a law firm to ignore the media. However, times have changed. Given the rapid increase of outlets and the relentless, 24/7 news cycle, lawyers ignore the media at their peril. Media coverage is sometimes inevitable in some cases. In this scenario, the lawyers on the matter should work closely with business development and marketing professionals, at the firm and even at the client if necessary, to shape the narrative.